Experienced clinicians demonstrate how play and creativity have everything to do with the deepest healing, growth, and personal transformation. Through play, as children, we learn the rules and relationships of culture and expand our tolerance of emotions—areas of life "training" that overlap with psychotherapy. 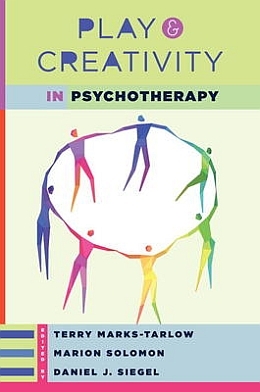 Here leading writers such as Mihaly Csikszentmihalyi, Daniel J. Siegel, Jaak Panksepp, Allan Schore, Pat Ogden, and Louis Cozolino illuminate what play and creativity mean for the healing process at any stage of life. Terry Marks-Tarlow, PhD, is a clinical psychologist in private practice in Santa Monica, California. She teaches affective neuroscience at Reiss Davis Child Study Center, is a research associate at the Institute of Fractal Research, and sits on the Advisory Board of the Global Alliance for Transformational Entertainment. She teaches yoga, dances, draws, and generally strives towards a balanced life through embodying her values. Dr. Marks-Tarlow is available for psychotherapy, talks, and trainings through her website: www.markstarlow.com. Marion Solomon, Ph.D., is a lecturer at the David Geffen School of Medicine, Department of Psychiatry at UCLA, and Senior Extension faculty at the Department of Humanities, Sciences and Social Sciences at UCLA. She is also director of clinical training at the Lifespan Learning Institute and author of Narcissism and Intimacy, co-author of Short Term Therapy For Long Term Change, and co-editor of Countertransference in Couples Therapy and Healing Trauma.